Ryegrass is often used to overseed lawns in the Southwest during the colder months while our Bermuda grass and zoysia grass is sort of hibernating. As with anything, there are pros and cons of overseeding with ryegrass. In this blog post, we’ll explore those. Overseeding with ryegrass provides year-round green turf-surface. Overseeding makes the grass more attractive and use-able during the winter months. Ryegrass will die off as temperatures rise in the spring, making way for the return of the warm season grasses like Bermuda grass. Ryegrass will compete for nutrients needed by the lawn in spring. Fertilizing the ryegrass may make the turfgrass more easily winter-damaged. It’s very difficult to have a seamless transition where you can maintain uniform green turf. Perennial ryegrass can prevent 100% green-up by the Bermuda grass. The Bermuda grass underlying an overseeded stand will still be partially dormant. 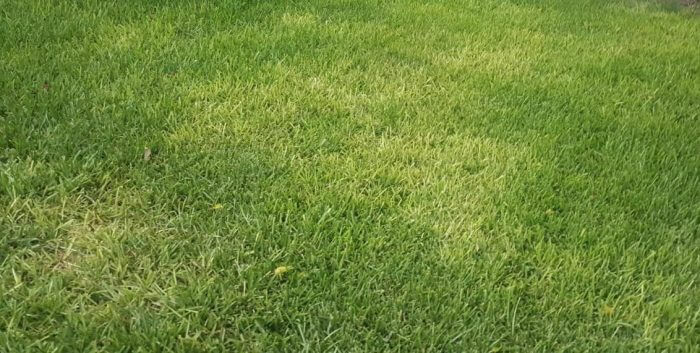 If you wait for the ryegrass to die out on its own, it could take a while and even then it could still turn into a clumpy ryegrass which is difficult to control. Perennial ryegrass, if you have a dry spring, may remain longer than it should – perhaps into the early summer. Allowing perennial ryegrass to transition naturally can decrease the health of the Bermuda grass. Bermuda grass needs about 90 to 120 days of good growing conditions during the summer. If you want to help your perennial ryegrass seed germinate well, mow the dormant warm-season grass before you sow the ryegrass. You should gather up those clippings. Then, it’s wise to rake over the area. This will score the soil’s surface. Ryegrass, like all grass seeds, needs to be in direct contact with moist soil after mowing to grow properly. You may opt to use chemicals to help the ryegrass die out on time so the Bermuda grass has time to flourish. Although it’s difficult to maintain a 100% green cover during this period, it’s possible with the right amount of work and know-how. Of course, you need the weather to be on your side for this to work properly. A cool period with high cloud cover during the time the ryegrass is dying can make the Bermuda grass stagnate and it will struggle to grow. Of course, all is not lost. 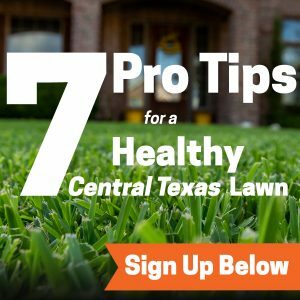 If you want a green lawn year-round, the best option in Central Texas is to overseed with rye-grass. It may not be a perfect solution, but, with Emerald Lawn’s help, we can get you through the transition from winter to summer lawn again. Call us today at 512-990-2199 for more information on this process.